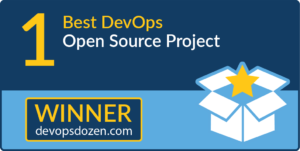 Jenkins X is the winner of the Best DevOps Open Source Project for 2018. Jenkins X enables developers to take advantage of Kubernetes to develop cloud-native applications without having to learn the intricacies of Kubernetes. 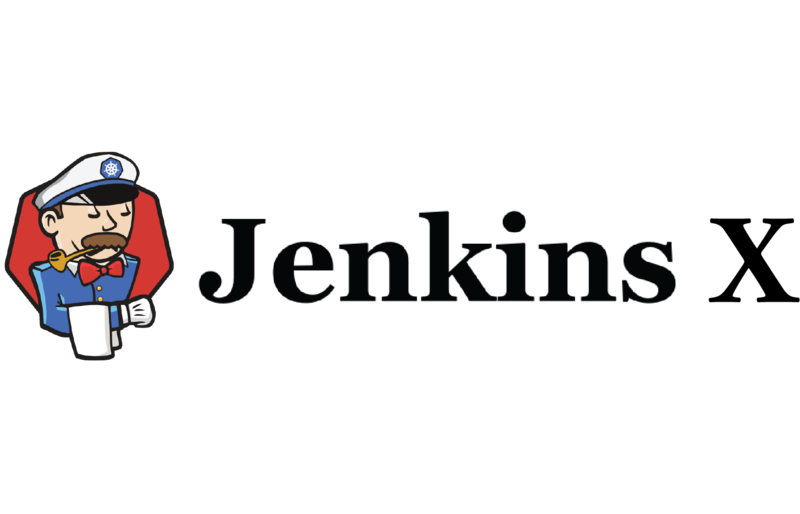 Developers can quickly establish CD best practices and cloud development by using the Jenkins X guided workflow that takes full advantage of GitOps, or environments managed as code. The power of GitOps allows developers to easily define, manage, deploy and scale environments with full history and traceability. Jenkins X leverages and packages many other open source projects of the Cloud Native Computing Foundation community around Kubernetes such as Knative, Helm, Prometheus and Vault, providing automatic integration with them and saving users the trouble of integrating all of these components themselves. 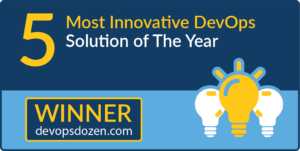 The voting in this category actually resulted in a tie between two of the leading CEOs in the DevOps space. 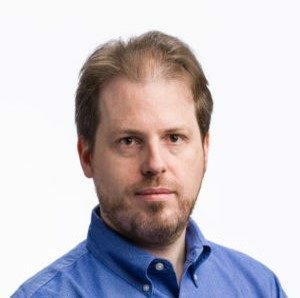 Sacha Labourey is the CEO and founder of CloudBees, the company powering the continuous economy by building the world’s first end-to-end system for automating software delivery. Sacha is also a member of the board of advisors and an investor at Codenvy (formerly eXo Platform), as well as a board member and investor at Wallix. He is praised as being a visionary with a strong understanding of technology and business. 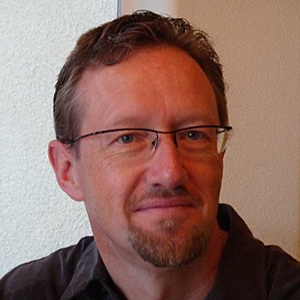 Sacha is experienced in open source, cloud computing, software development and more. 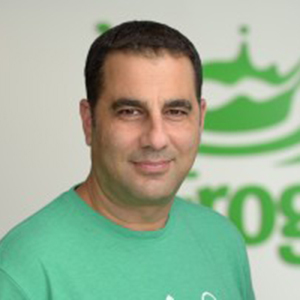 Shlomi Ben Haim is co-founder and CEO of JFrog. He brings more than 20 years of experience in building profitable, high-growth information technology companies. 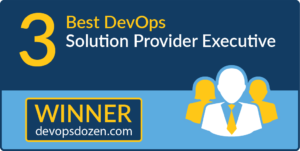 Shlomi is a recognized visionary in the DevOps space, having now guided a company from its inception with just three co-founders along with Yoav Landman and Fred Simon to a privately held, global DevOps company with a billion-dollar valuation. 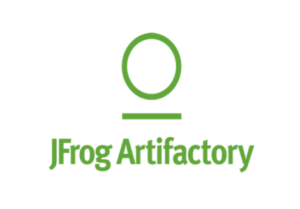 With the releases of JFrog Xray and the JFrog EnterprisePlus platform in the last two years, Shlomi continues to foresee market dynamics and push JFrog forward to deliver next-generation solutions. 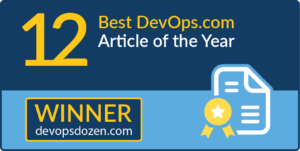 Chris O’Malley, Compuware’s president and CEO, is the Top DevOps Evangelist for 2018. 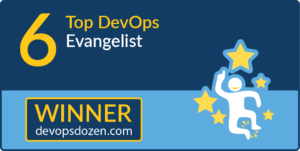 Chris is a highly vocal, incredibly passionate evangelist for DevOps and, more specifically, Agile and DevOps on the mainframe. 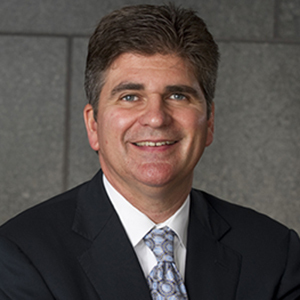 Having led the Agile transformation at Compuware, he speaks from the heart. No other executive in the industry comes close to exhibiting the energy Chris brings to every engagement, whether it’s a customer meeting or a LinkedIn update. Chris is unwavering in his commitment to make Compuware customers successful and believes DevOps on the mainframe plays a critical role in facilitating that success. 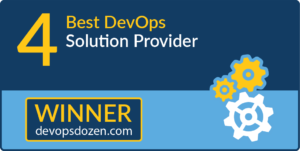 Since late 2014, Chris has spearheaded an effort to educate the marketplace on the benefits of DevOps and Agile on the mainframe, as well as create a new generation of mainframe software that speeds this effort. Chris’ extensive media coverage and social outreach in 2018, included more than 25 articles, blogs, interviews, podcasts and conference presentations. 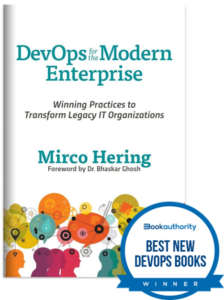 Check out a few of his recent posts on ZDnet, Forbes, InformationWeek, eWeek, DevOps.com Chat, AgileCXO and DevOps Enterprise Summit, as well as more than a dozen LinkedIn posts in 2018. 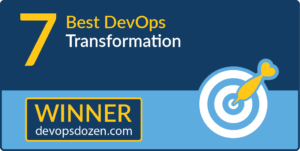 Capital One was the judges’ choice for Best DevOps Transformation for 2018. As one of the most well-known brands in America and among the top 10 largest banks in the nation based on deposits, Capital One offers a wide range of financial products and services to commercial clients, small businesses and individual consumers, both online and in-person at branch locations. The company was founded on the vision that the power of information, technology and testing could be harnessed to bring highly-customized financial products directly to consumers. The thousands of software engineers, testers and other professionals in the Capital One software development organization are making this vision a reality. Beyond their financial success and size, Capital One has a well known and well deserved reputation in the tech industry for being one of the most innovative and open source friendly enterprises in the market. 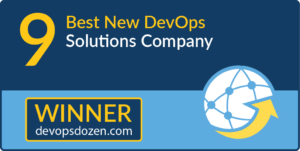 ShiftLeft Inc., winner of the Best New DevOps Solutions Company in 2018, is an innovator in application-specific cloud security, delivering the industry’s first fully automated security-as-a-service (SECaaS) solution that understands the unique security needs of each version of each application and creates custom security and threat detection for it. With ShiftLeft, DevOps can make threat detection part of their CI/CD process. 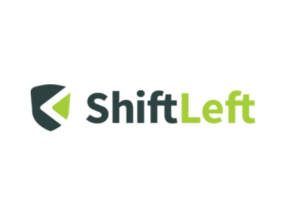 ShiftLeft’s approach allows teams to both protect their applications immediately and enhance the security posture of their code. 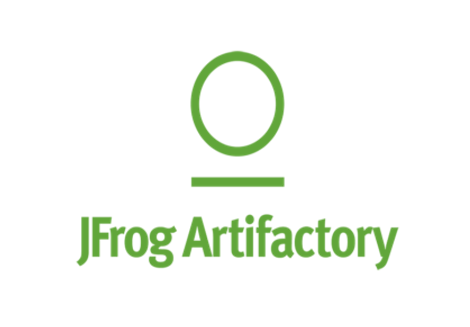 The company was founded by a team with extensive backgrounds in security and cloud infrastructure who were early innovators of technologies such as sandbox, next-generation firewall, next-generation electronic payment network and fraud modeling, as well as several open source initiatives. Headquartered in Santa Clara, Calif., ShiftLeft is backed by Bain Capital Ventures and Mayfield. For more information, see https://www.shiftleft.io/. 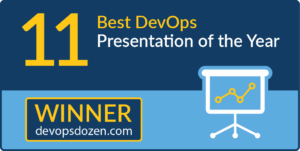 “Project to Product: Practical Realities at a Large Scale Enterprise,” a 30-minute presentation at DevOps Enterprise Summit London 2018, is the winner of the Best DevOps Presentation for 2018. The presentation featured Carmen DeArdo, currently working as senior VSM strategist at Tasktop, and Nicole Bryan, vice president of Product at Tasktop. 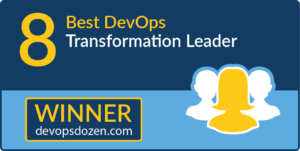 Carmen DeArdo was the DevOps technology director at Nationwide Insurance, where he was part of the leadership team implementing DevOps practices and technologies across the 20+ IT areas at Nationwide. He is considered a DevOps industry leader, speaking at conferences and writing regularly on these topics at DevOps.com. He is also regularly interviewed by analysts (e.g. Forrester) and technical publications such as TechBeacon for research and articles. He has presented at previous DOES U.S. conferences. 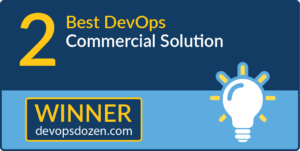 Check out Carmen’s Reflections from DevOps Enterprise Summit 2018 as well. Nicole has more than 20 years of experience in software and product development, focused primarily on bringing data visualization/infographics and human factors considerations to the forefront of Agile and DevOps. She is passionate about increasing representation of women in technology and improving how software is created and delivered—making the experience enjoyable, fun and even delightful. 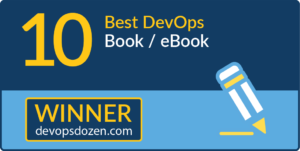 “Continuous Discussions, Episode 90: Gene Kim and DOES18 Speakers,” by Anders Wallgren won the Best DevOps.com Article of the Year Award for 2018. Anders hosted Gene Kim and several speakers from the upcoming DevOps Enterprise Summit Las Vegas (DOES18) conference to talk about DevOps, the conference program and emerging conference theme of next-gen operations and infrastructure. The panel of DOES18 speakers included Cornelia Davis, senior director of technology at Pivotal; Damon Edwards, co-founder and Chief Product Officer of Rundeck; Mik Kersten, CEO of Tasktop; Tom Limoncelli, SRE at StackOverflow.com; Gene Kim, founder of IT Revolution and co-author of “The DevOps Handbook,” “The Phoenix Project;” and “Accelerate”; and Electric Cloud’s Sam Fell and Anders Wallgren. Check out the blog to find out the top takeaways from their discussion.